So, we started with the inevitable, and end on the unexpected. 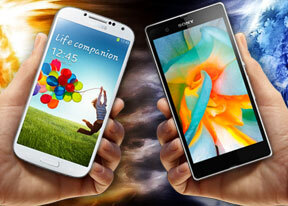 The Sony Xperia Z and Samsung Galaxy S4 are the crown jewels of their respective lineup and on the (very short) shortlist of contenders for smartphone of the year, so the one-way traffic throughout is coming right out of the blue. Sony managed to deliver its smartphone to the market two months earlier than the competition and has been cashing in on that advantage very well since. However, Samsung obviously used the time well and brought a product that is ready to overwhelm the Xperia Z, when it hits the shelves. 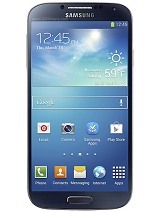 The Samsung Galaxy S4 is equipped with the latest version of the Android OS and will come powered by the two most potent chipsets in the smartphone market. It also comes with that impressive 5-inch 1080p SuperAMOLED display that nearly humiliated Sony's mildly disappointing screen. The Samsung Galaxy S4 easily comes across as the superior smartphone, but does it mean that the Xperia Z should start packing? Is there really nothing that the best of Sony in a smartphone can offer against the best Samsung smartphone? Of course there is. The Sony Xperia Z is still an impressively capable package and one of the coolest pieces of smartphone design. The IP57 certification will appeal to the outdoorsy type who need a smartphone with better than average protection against the elements. And we wouldn't say that water resistance is its best bet at staying relevant. The Xperia Z is better than that. With all the tests we did and numbers thrown around it's easy to forget that the Sony Xperia Z offers impressive smartphone experience and comes in a beautiful glass-clad body. And mind you, it wasn't Samsung's goal to make the Galaxy S4 the best kept secret by giving it a finish that just doesn't look premium. Anyway, if you don't need all the extra goodies of the Galaxy S4, why not give your eyes a treat. Of course, in that case you should also give the HTC One a serious consideration, but that's the topic for a yet another shootout. And you can bet it's coming up. So, if you chose the Sony Xperia Z for the looks and the water resistance, you don't need us telling you it's money well spent. 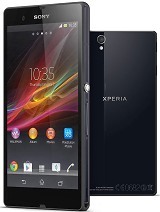 By the way, we are certain that many bought the Xperia Z because there was nothing better on the market at the time. This will be the reasoning of future Galaxy S4 owners too. To be fair though, that's easier said about the Xperia Z then, than it is for the Galaxy S4 now. Oh well, it's a compliment that goes both ways. And rightfully so.